Our company was founded in 1991. We began as fabricators of custom made silk screen images on ceramic tile; custom glazing and custom-cut mosaics. 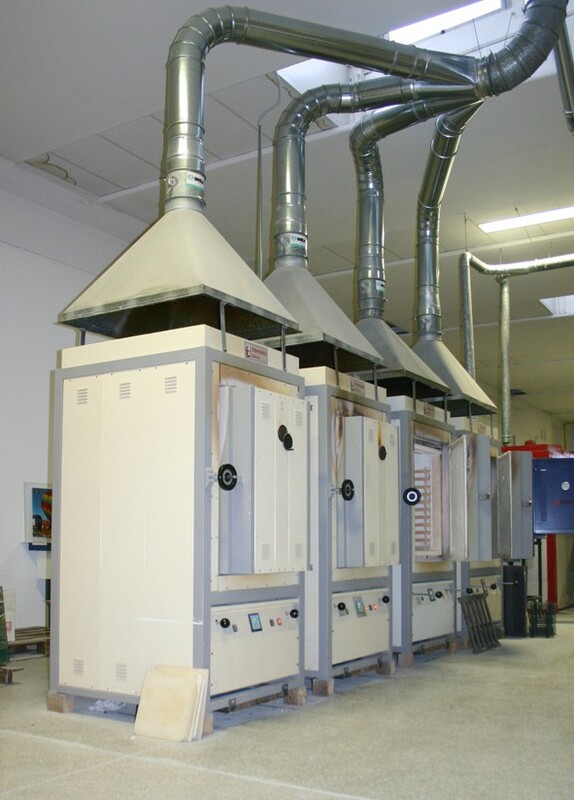 High-tech glazing equipment, fast-fire roller kilns, and tile-cutting equipment were installed to facilitate fabrication and to achieve high quality standards. The owners of Tile Artisans have more than 40 years of combined experience in the manufacturing and decoration of ceramic tile. In 2004, Tile Artisans expanded in affiliation with an advanced technological Italian company to add fabrication of custom made ceramic tile murals along with custom made floor tile and pool tile murals to our product mix. 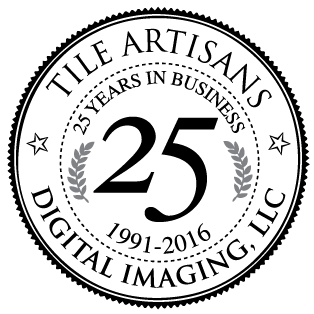 Since 2004, Tile Artisans has been the leading American fabricator of digital photographic image transfers to ceramic and porcelain tile. Over the last decade, we have been advising and supplying artists, designers, architects, municipalities, schools, commercial and residential customers with durable custom-made tile murals for interior and exterior applications. Through 2014, we have fabricated in excess of 300,000 square feet of porcelain tile murals. We transfer images onto ceramic tile and porcelain tile surfaces using a proprietary and advanced digital, high-resolution photographic image transfer technology. After the image is transferred, the tile is baked in a kiln “Firing Process” at 1650°F. Resistant to UV rays and fading, the finished tile is suitable for indoor and outdoor use and for floor and wall applications. Kiln-fired ceramic tile murals are extremely weather resistant. The final kiln-fired tile mural has a porcelain glaze finish that cannot be harmed by standard cleaning chemicals, UV rays, or harsh climates. This finish allows dirt, pollution, and graffiti to be removed without damaging the tile. Kiln-fired tiles are durable and scratch resistant, making them excellent for use in high-traffic areas.